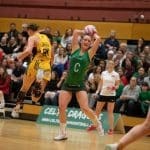 Click the link to see the story in today’s Echo and Wales Online (25/01/12); http://www.walesonline.co.uk/sports/parklife/2012/01/25/netball-great-victory-for-celtic-dragons-91466-30192108/ Remember tickets are available for the next home match on the 2nd of February. Miss It, Miss Out! 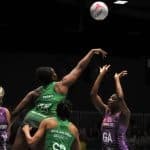 Want to be taught netball by the best? Dragons Team Up with Tiger Tiger Cardiff!